As the first guests arrive at the new chalet, Attique 39, the transfers are delayed into resort, because of road closing due to danger of avalanches. 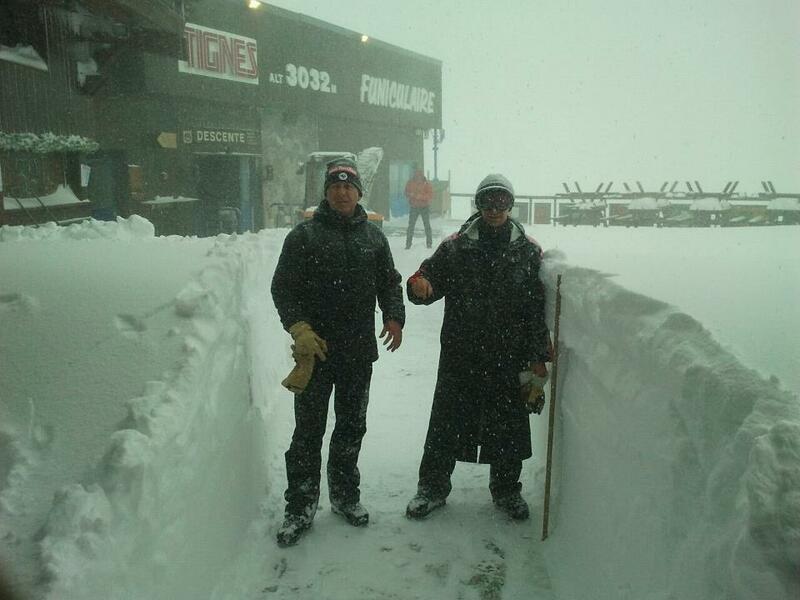 It has snowed over a metre in the last 2 days, and is set to continue tomorrow. Many hours have been spent digging out minibuses in the last few days! The picture here is at the top of the funiculare, at 3000m, at the foot of the glacier! As this continues, we celebrate over 500 guests booked in for the season 2011/2012. It's going to be a good one!